Here at Byrdie HQ, we have a crush on pretty much the entire country of Iceland. Whenever we stumble across a gorgeous landscape on Instagram, invariably it's from someone's trip to the Westfjords (Icelandic vacations have become seriously trendy as of late, and we're feeling all the FOMO). But to us beauty junkies, what's even more alluring than the scenery is the flawless skin that seems to grace the entire population. We assume that genetics play a big role, but the international beauty aficionados in us suspect that there are hidden skincare habits and products helping to keep Icelandic complexions so even-toned and clear. As it turns out, Iceland's harsh climate and travel-centric lifestyle don't provide the best conditions for skin. "As I travel a lot, I can feel my skin get a shock every time I go from warm countries to cold, like Iceland," Reykjavik-based blogger Jennifer Berg (@jenniferbergp) told us. "And the wind here is very strong and cold so my skin gets very dry." But Icelandic women have brilliant ways of battling the elements. Keep scrolling to find out their six best tips for flawless skin! Iceland boasts several anti-aging lines that utilize carefully developed, highly concentrated plant extracts to slow the aging process. Icelandic biotech company Sif Cosmetics is legendary for its face serum, which promises to dramatically minimize fine lines and wrinkles, restore radiance and moisture, reduce pore size, and more. 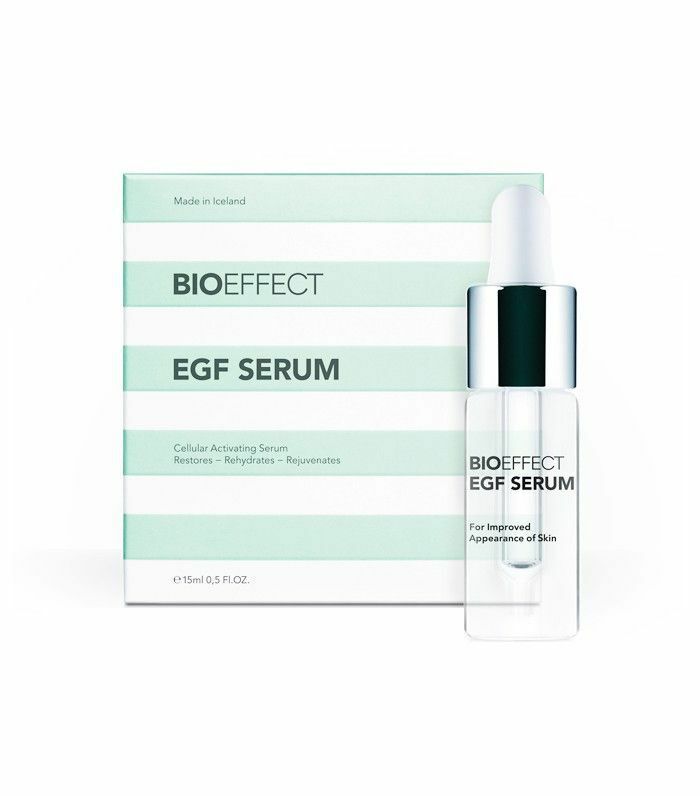 The product's key technology is its epidermal growth factor, which naturally kick-starts cell regeneration. The company formulates the product by growing its own barley in-house and extracting a specific extract from the seeds, which interacts with the skin to hasten the rejuvenation process. Geothermal spas like Mývatn Nature Baths and the Blue Lagoon are a staple in Iceland, not only for the top-notch photo ops, but for their skincare benefits as well. The mineral-rich water can aid with conditions like eczema, psoriasis, and dry, rough skin. A trip to the natural spa also serves to boost circulation for that coveted rosy glow. Best of all, it's a natural way to reduce stress and encourage better sleep, both of which make our skin look healthier and more youthful. Even the shower water in Iceland boasts some of the benefits of The Blue Lagoon. Because the hot shower has geothermal origins, it contains sulfur, which may not smell very good, but helps with dry skin, psoriasis, and eczema just like it does at the natural spa. … For six months out of the year anyway. Since Iceland is so far north, the country experiences an extended "midnight sun," where for half the year, the sun may not rise until 11:30 a.m. and can set as early as 3:30 p.m. And the other months of the year, the sun is nowhere near as strong as it is, say, here in Los Angeles. This minimal sun exposure greatly reduces the effects of photo-aging, keeping Icelanders' skin youthful for decades. Iceland's Westfjords offer an abundance of wild herbs, flowers, and plants that many local skincare harness in their products. "I have recently started to use Taramar’s products, and I really like them a lot," said Berg. "They are organic products sourced from the nature of Iceland, so they're pure and safe, which I love. You really know exactly what they have in the products, and that is very important." Berg says with the use of Taramar's serum, day and night creams, and purifying treatment, she has seen a significant decrease in blemishes and rosacea. Taramar products sadly aren't available stateside. But we recommend trying Icelandic natural brand Sóley, which uses plant-based recipes handed down from the founder's great-grandmother. Icelanders tend to travel a ton, so they make sure to pack the proper skincare to prevent the climate changes and dry plane air from wreaking havoc on their skin. Travel-size hand cream, moisturizer, and hydrating face mist are all travel essentials, as is this convenient eye gel kit from luxury brand Skyn Iceland. Want more international skincare secrets? Don't miss this story on how Italian girls get their bronzy summer skin.